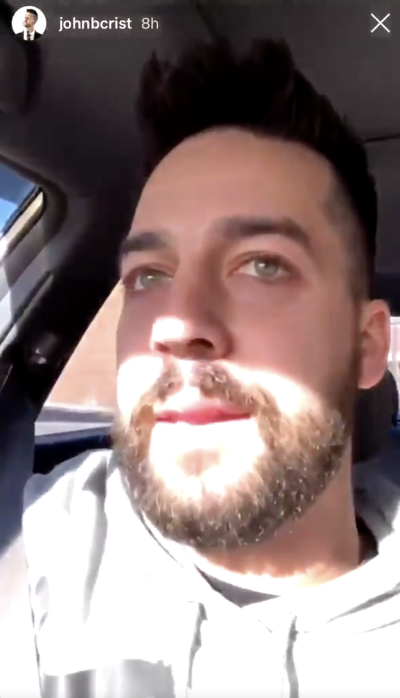 Christian comedian John Crist was back on social media Monday where he revealed that he'd been away reconnecting with God at a therapy workshop. “I'm back!! Spent the beginning of 2019 in the woods of rural Tennessee at a place called @onsiteworkshops, talking to a therapist, doing some meditating, some yoga, petting some horses, eating home cooked meals and having a few honest conversations with the Lord,” Crist said in a post on Instagram. “These people can help you,” he insisted. Later that day on his Instagram story, Crist opened up about the reason why he sought therapy. “Everybody just knows me as a comedian, I don't know who this John is,” Crist revealed about his conversation with the therapist. “I got in touch with him again,” he added. Despite all of his success in 2018, with over 500 million video views and a successful stand-up comedy tour that sold out in most cities, Crist confessed that he wasn't happy and needed some time away. “I actually talked to them. I was like, ‘I’m kinda unhappy about some things in my life but I need to be kinda angry for my job; I need to complain about things. Can you fix me but also keep that,” Crist revealed. Crist is known for bringing humor to the Christian community in videos he posts on Facebook like "Christian Mingle Inspector," "Church Hunters" and "Uber Christian." The 34-year-old was also named by ChurchLeaders.com as one of the top comedians to watch. He's also known for having performed alongside some of the biggest names in secular comedy, including Dave Chappelle, Seth Meyers and Trevor Noah. For more information about John Crist, visit www.johncristcomedy.com.